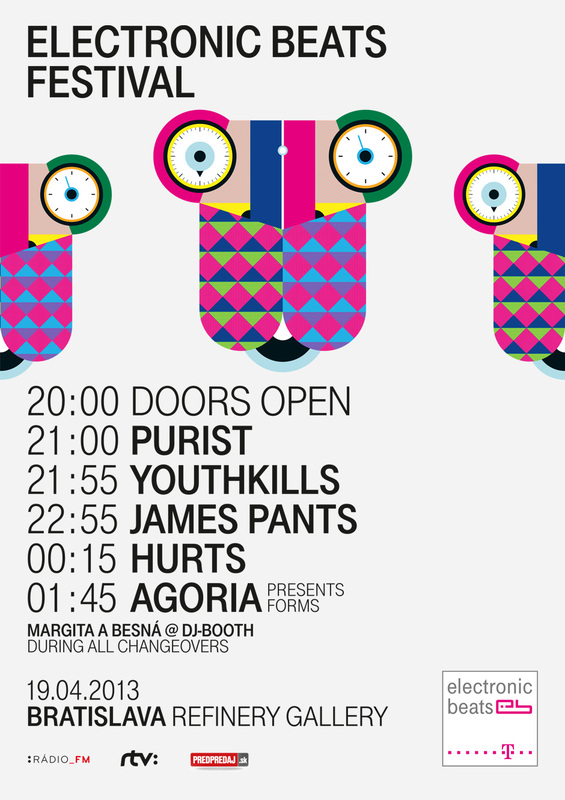 With less than two weeks to go until Electronic Beats Festival hits Bratislava those people in possession of tickets are no doubt looking forward to a line-up that boasts the terminally hip Hurts, multi-instrumentalist James Pants, acid fiend Agoria and London upstarts Youthkills. If you haven’t bagged yourself a ticket yet, never fear, we’ve managed to get hold of ten pairs to give away. To bag a pair of tickets and join us in the Slavakian capital on April 19th, just fill in the form below—easy. The festival takes place at the Refinery Gallery and all winners will be notified in due course. Meanwhile, don’t forget you can read James Pants’ recommendation of 情報デスクVIRTUAL’s 札幌コンテンポラリ here and Louise Brailey’s Recommendation of Hurts’ Exile here.